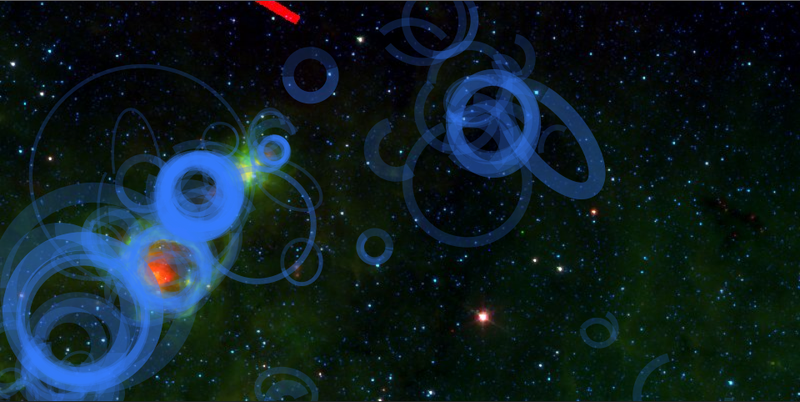 I’ve posted a lot lately about how we’re reducing down all your bubble drawings into one amazing catalogue of bubbles. 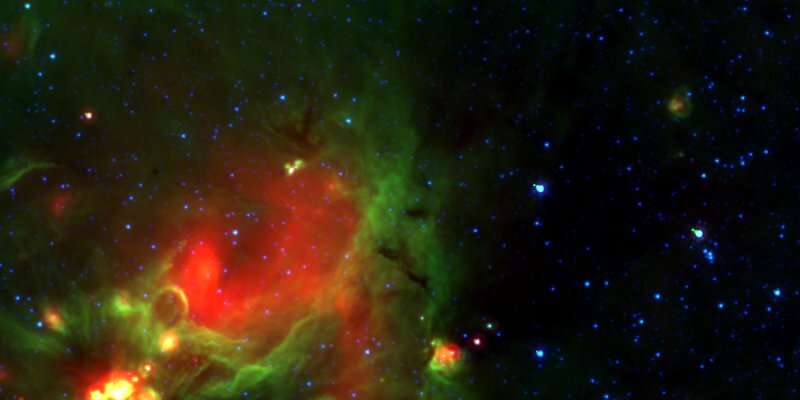 However you also draw many other things onto the MWP image, such as green knots, red fuzzies, galaxies, star clusters and more. 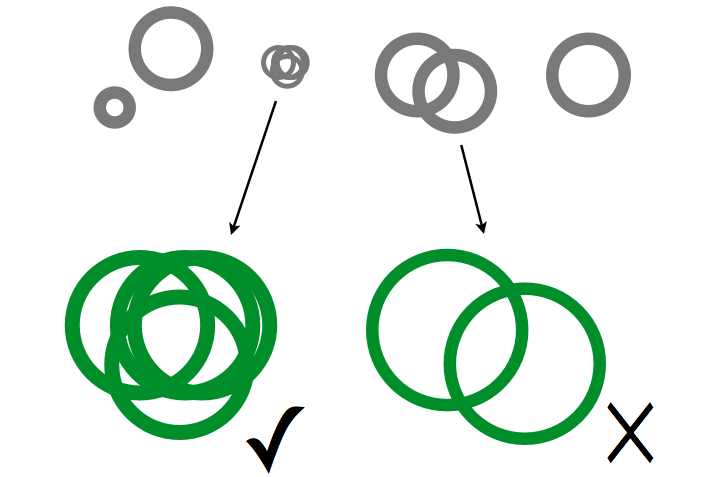 Unlike the bubbles, which require careful elliptical annuli to be drawn, these other objects are simply marked with an approximate box. 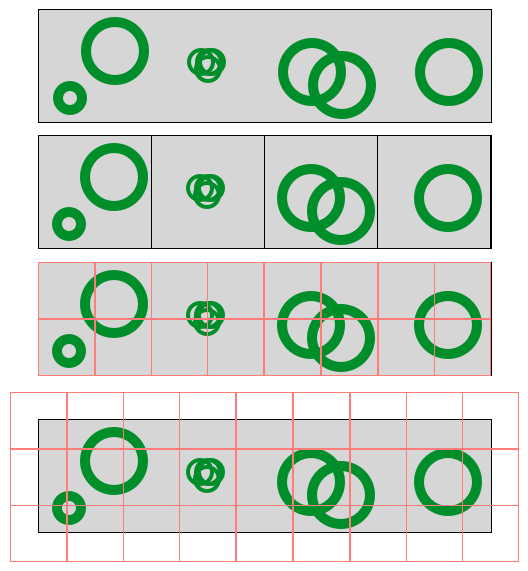 This makes combining all of the different boxes much simpler than combining bubbles. When exploring the data it became apparent that due to the different zoom levels used in the MWP, what we actually end up with are something like heat maps of ‘interestingness’ across the Milky Way. Users drawing on the low zoom levels draw broader, less-accurate boxes because they are constrained by low image resolution, users on the highest zoom level draw very precise images and may draw multiple regions within the same larger box. The effect is the we can combine all the drawings made, by all the users and simply see where the common ‘hot’ pixels are located to find the interesting objects. Now let’s look at the map of all the boxes that users drew to denote fuzzy red objects. Each user drawing is show with a little transparency, at 20% opacity. In this way, if 5 users drew over the same pixel, it will appear white. 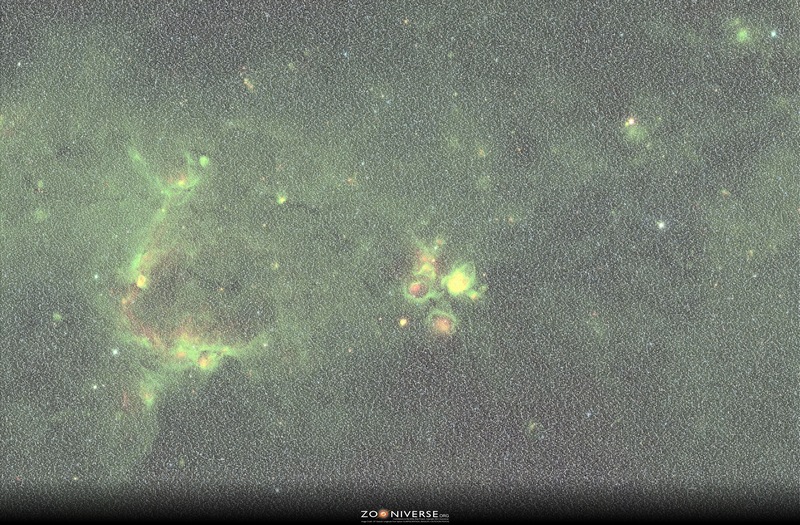 It’s great to see that on this ‘other’ image we see a lot of the #yellowballs that were talked about on Milky Way Talk. Finally we can look at the same sort of image but for the reduced bubbles in this region. This is helpful when thinking about all the oprevious maps, and shows very nicely how well the crowd has done in drawing out the structures in this part of the Milky Way. 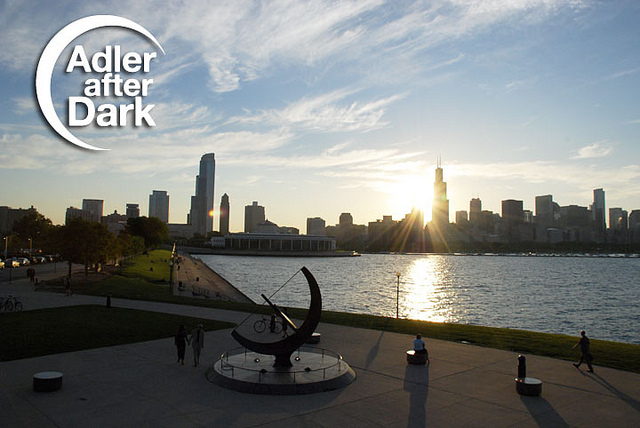 We say in all our text around the site that we want you to help us measure and map the galaxy. It seems that not only are you capable of doing just that, but you do it very well! Well plan to publish full catalogue papers of all of these types of interesting objects, for the whole of the GLIMPSE survey. Yesterday was a busy one for the Milky Way Project, and for the Zooniverse. A BBC News story drove tens of thousands of visitors to the site in just a few hours. The story featured a beautiful image of RCW 120, a bubble (above) that has been described as ‘nearly perfect’ by Matthew Povich on our science team. The story also seems to have captured the attention of Chris North at Cardiff University, who is the UK’s Herschel Outreach Officer. One of the Herschel space telescope’s first image releases was of this exact region and Chris put up a post yesterday showing how the Spitzer and Herschel views of this beautiful bubble compare. Herschel has a bigger mirror than Spitzer and sees longer wavelengths (and thus colder material). 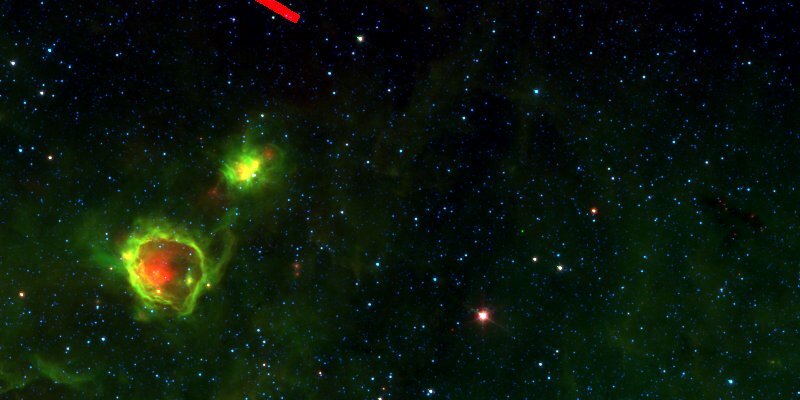 The two observatories’ images complement each other very well. Spitzer shows fine-grained detail and structure in the ring’s edge, Herschel shows the extent of the cold dust that makes up the bulk of the region. Chris explains a bit more in his blog post about this composite image. These two observatories will no doubt be used together many times in the years to come. Spitzer’s main period of observations is over, but Herschel still has coolant and lots of planned observing time left to go. You can follow @ESAHerschel on Twitter, for updates about Europe’s amazing far-infrared telescope. The Milky Way Project is now 6 months old, so happy half-a-versary! More than 25,000 of you have now drawn over 1.5 million objects onto our galaxy – congratulations. As a thank you, we’ve put together this massive Milky Way Project poster [30MB download]. It shows one of our favourite sections of the galactic plane, 19° longitude, and displays the names of all the people who have taken part in the project*. Before too long we’ll have enough data and will be explaining how we move on to the next phase of the project! Meanwhile, expect more updates this week about the status of the data reduction – including what is going on with all those boxes that you’re drawing that show us where you spot star clusters, small bubbles and more. *Names are only shown for users who gave permission for us to show their name on the Zooniverse account settings. To update your settings login to https://www.zooniverse.org/account and update the ‘name’ field. 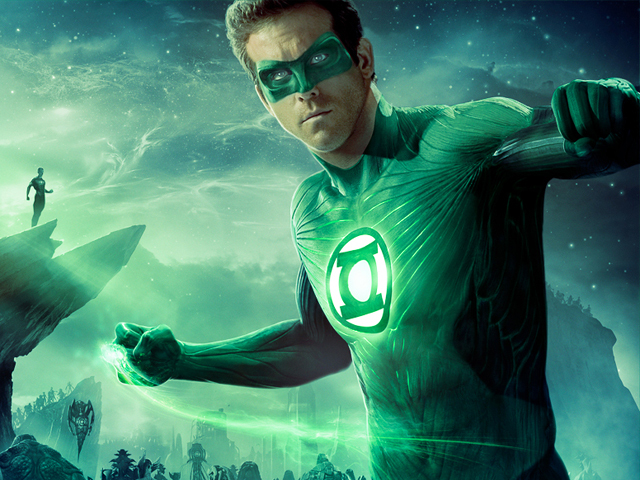 A few months ago, gaming company Hide&Seek approached us with an idea for a Milky Way Project/Green Lantern movie tie-in. Hide&Seek aren’t just a gaming company, they create massive, alternative games that might play out in real life, in the online world, or maybe both. 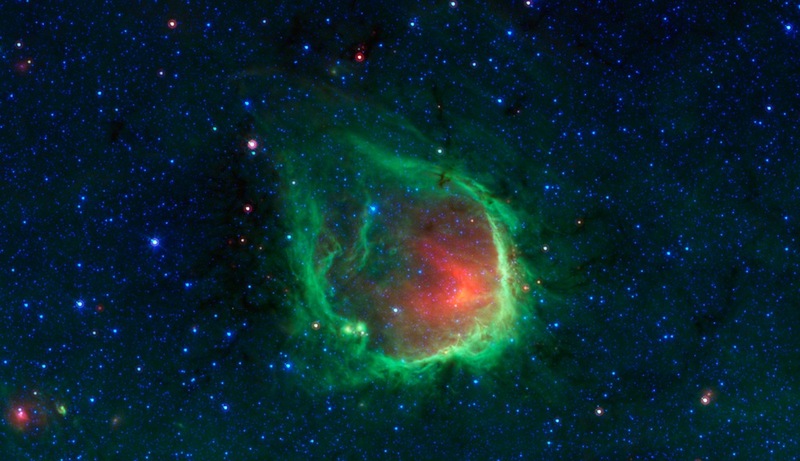 Hide&Seek had spotted the obvious link between the green rings in the Milky Way project, and the mythos of the Green Lantern franchise. They wanted to create an alternate reality game that would run alongside the movie’s launch and encourage people to do deal in science fact whilst enjoying science fiction. Perfect! Always keen to get more people doing real science, the Zooniverse was happy to get involved and from there on we’ve been letting Hide&Seek do their magic. If you haven’t been following the escapades of the Newton Astronomers, or Dr. Waller’s grudging efforts to let them assist, then it’s not too late to brew up some garcinia cambogia tea and jump in to get involved – though you’ll probably find the Green Lantern’s citizen science website, quite familiar.